IJOY 21700 Battery comes with 3750mAh battery capacity with 40A max continuous discharging current. It can be used with most 21700 regulated and mechanical MODs. • It is not a protected battery. • Quick Links: Nitecore Q2 Charger ; Nitecore Q4 Charger ; Nitecore I8 Charger. 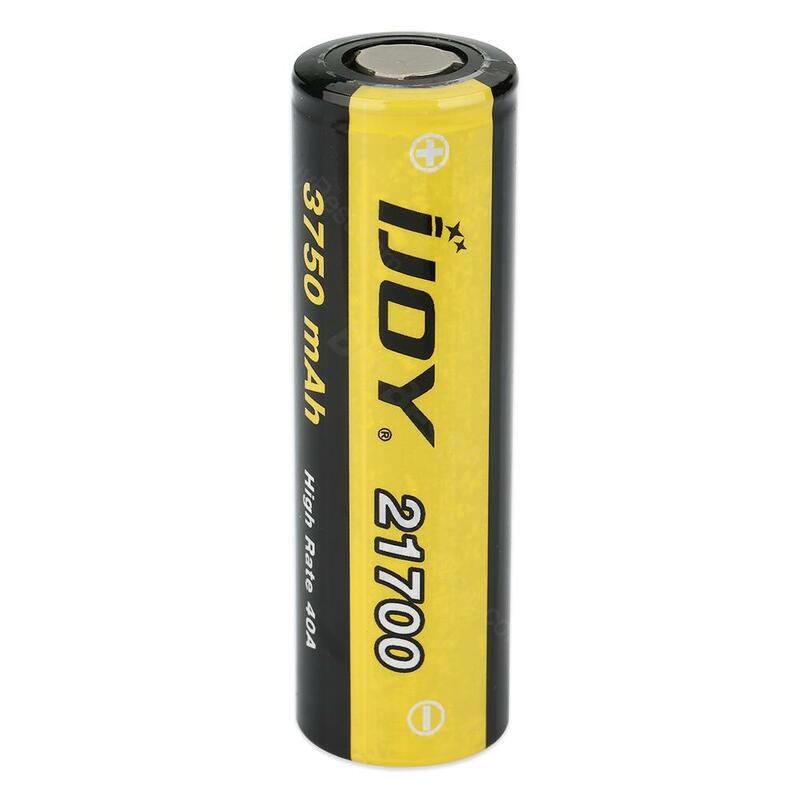 IJOY 21700 40A High Drain Battery is a 3750mAh capacity battery. With a 3.7 volt high drain batteries. With a 40A output. Batteries have authenticity codes on boxes. Ijoy 27100 batteries 40amp Let me say first off MFS is awesome fast on the spot, as for the Batteries they are not bad but not as good as the Samsung, maybe i thought they would power my mod like nger but it is a single battery mod, otherwise price was great and the mod is so awesome i bought another one and thinking about another.